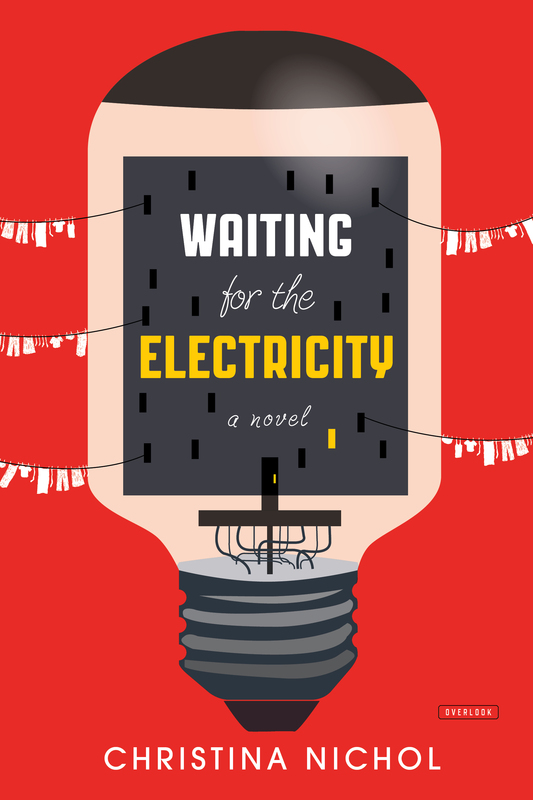 Waiting for the Electricity was one of the first books I read when I found out I had been hired at The Overlook Press. It arrived in the mail two weeks before I started working, so I took it as my first assignment. The book was described to me as being funny, which I worried was a red flag. I’m weary of any books described as funny because I think humorous writing is one of the most challenging kinds of writing (lifetime props to Roddy Doyle, my favorite comedic novelist). I opened the book and laughed as soon as page one. It stuck; I laughed through all of protagonist Slim Achmed Makashvili’s misadventures. The book follows the aforementioned Slim, the Don Quixote of this modern picaresque. Set in Post-Soviet Georgia, Slim is a young, charismatic man; his windmill is the United States, where he is convinced he can learn a better way of life and bring the American dream back to his homeland. His country is corrupt and many people earn their money on the black market. Yet, they are a good people who are warm and friendly, and maybe the best neighbors to each other. By the time I finished the book, I wanted to visit Georgia, and I understood why Christina wrote with so much care about the country where she once lived. “They’re very excited I wrote a book about Georgia because nobody has,” Christina recently explained at a Q&A at McNally Jackson in Manhattan. Christina, who originates from San Francisco, has traveled the world teaching English. Georgia was the country that stuck out the most for her; the one that begged fictionalization. The book came out of an idealized version of Georgia combined with a humorous look at the country. “The smartest way to get your politics across is with humor,” author Susan Choi (My Education, A Person of Interest), whom interviewed Christina after her reading, added. It’s true. In the way that most Millennials get their news from Jon Stewart and Stephen Colbert and how Louie CK is one of the most astute observers of the failures of modern life, sometimes it is easier to watch the tragedies of the world through the lens of comedy. It makes it more survivable. What matters, something that Stewart, Colbert, and Louie CK all understand, is that there has to be empathy and understanding behind the comedy. It’s one thing to point about the ludicrous nature of contemporary American politics, but it requires a whole other level of talent to make you stop and think after the laughter has worn off. This is something Christina accomplishes near effortlessly through her portrayals of Georgia’s politically corrupt government officials and politicians. The reader laughs at their over-the-top antics, while at the same time empathizing with Slim as he struggles to fight against the system. Christina understands the plight of the Georgians, their affable nature even in the face of less than ideal living situations (the title of the book comes from the country’s spotty electricity). Reflecting on one of her favorite aspects of Georgian culture, the seemingly unending yet never dull toasts that are given at group meals, Christina said, “There are few Georgian writers because they all sit around the table making toasts–that is their literature.” Here is a writer who understands the culture she’s writing about enough to point out the equal parts laughable and admirable qualities of it. Sounds like a delightful read, thanks for the recommendation!